3 weeks ago I decided that it was time to learn how to crochet. I’ve always been a knitter, but it was a thing I would do for a day or two, and then set aside and not touch again for a year. 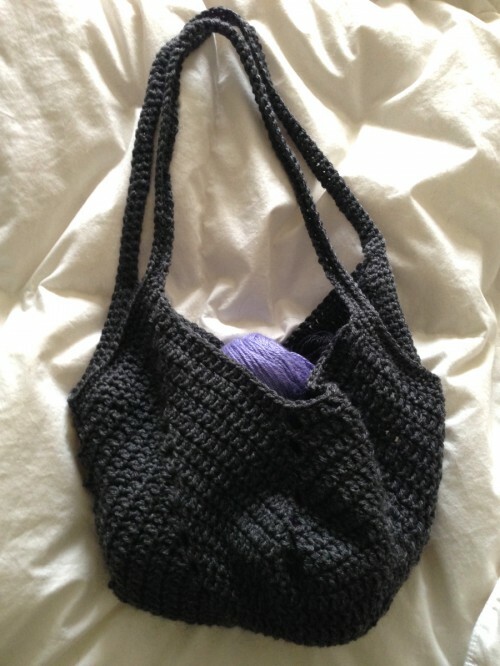 Believe it or not, learning to crochet is a bucket-list item for me (I know, I know; “how very sad, Jenn…”) but it looked too difficult to pick up when my time was so limited. 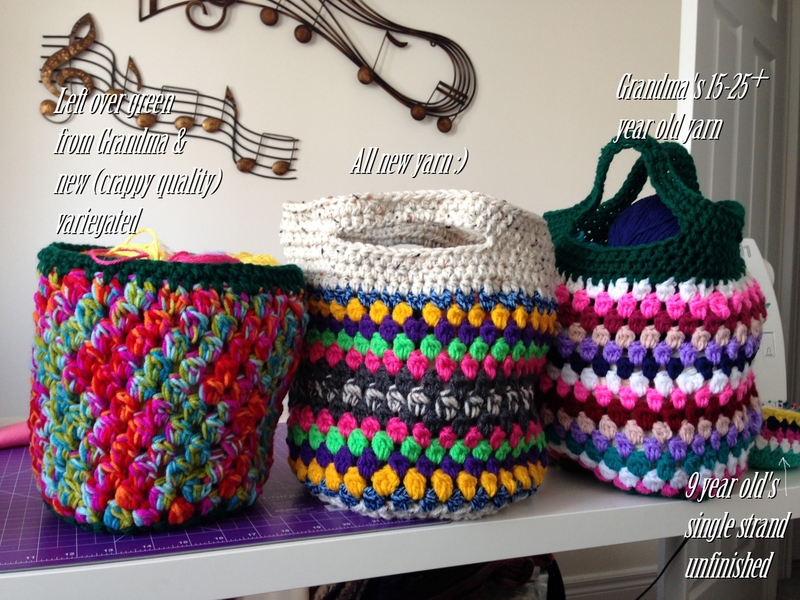 Holy smokes… crochet is… SO DIFFERENT! 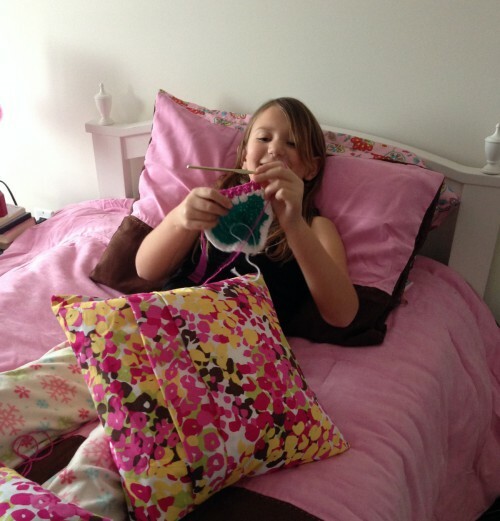 I know I’m likely preaching to the choir if you are a crocheter yourself, but at least you know where I’m coming from! I LOVE IT. I really, really, REALLY love it. I am a visual learner (hate following a pattern, just show me what to do), and when I found Clare, of https://www.facebook.com/bobwilson123YoutubeCrochetVideos and http://www.bobwilson123.org/ – that was enough to get me completely and literally hooked. Plus, she’s Aussie, and adorable. This little guy was my first project past the hats (which were not good, and I’m not showing them to you!) – I saw a picture somewhere, but didn’t have a pattern for him. 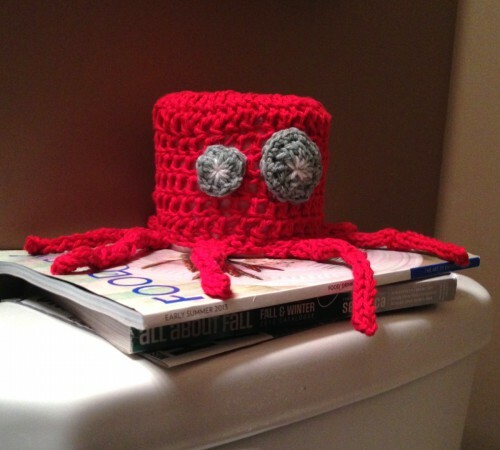 As it turns out, though… crochet is so logical that you really just need to eyeball something and then do it! Thanks to Clare for her wonderful videos – you can find links to her videos on the website above, or directly on her YouTube channel. 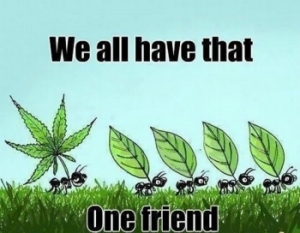 Legalize Marijuana. Yes, I’m serious. Let me be clear about this; I support legalizing marijuana in Canada. I’m getting really tired of the smear campaign against Justin Trudeau. (Reference: Search for Justin Trudeau Attack Ads). The tired Conservative government (read “Steven Harper”) is fixated on trashing a man who, in my opinion, is the future of Canada. They’re trying to brainwash the masses into believing that Trudeau is a “druggie”, because he has smoked pot in the past, and thinks it’s a good idea to legalize it. He’s not a druggie, he’s a smart man. The Cons are trying to make you believe that he’s riding on his father’s coat tails. He’s not – Justin Trudeau is a brilliant man, who has been around politics his entire life, who gets what Canada is all about, and better, cares to keep it that way. That Pierre Trudeau was his father only enhances the fact that he knows what needs to be done. I’m not going to go into the full political nonsense though. I just want to discuss one thing; Why Canada should legalize marijuana. I was going to write a post with my thoughts on it, but this post that I just read does a much better job of it. The thing is, if we legalize marijuana, it doesn’t mean everyone will suddenly become a “druggie”, as the Conservative smear campaign would have you believe. It doesn’t mean it will be more easily accessible to our kids – quite the opposite will be true, since it will be controlled. It’s *already* very accessible via dealers that are around pretty much every school in this country. It’s always been that way, too. I remember being in drama class in Calgary one day in the 80s – probably 1983 – when our teacher left for a minute and a kid popped his head in the door and asked “anyone need any weed? No? Meth? Quaaludes? No?” My eldest daughter has said the same of when she was still in high school, although now it’s even easier to find and get with the advent of cell phones. If they legalize it, they can control it better. If they tax it, it will benefit the country in ways the author explains very clearly. More importantly, we’ll know where it came from, and that it’s pure, and not laced with something else. 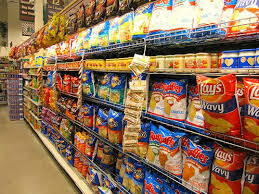 It will certainly benefit junk food companies like Frito-Lay and Pringles! The bottom line is this; if we legalize pot, it doesn’t mean our kids are more or less likely to become pot-heads any more than alcoholics or cigarette addicts. We’ll still talk to our kids the same way about avoiding drugs of any kind. I don’t smoke it, and likely I never will. My kids don’t, and I don’t know if they’ll try it in the future. I do support legalizing it. It only makes sense.